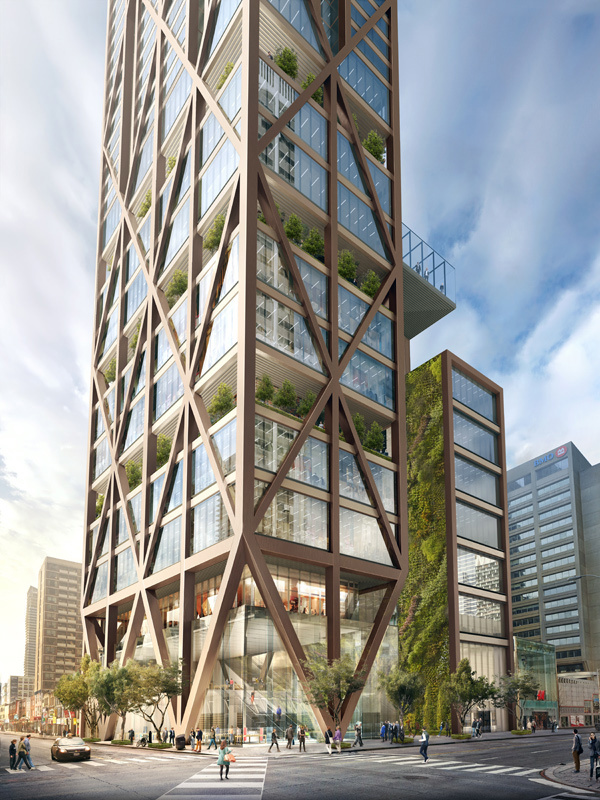 Yesterday, developer Sam Mizrahi, who purchased Stollery’s and several adjacent properties on the southwest corner of Yonge and Bloor streets last fall, unveiled his plans for his ambitious residential/retail building, The One. 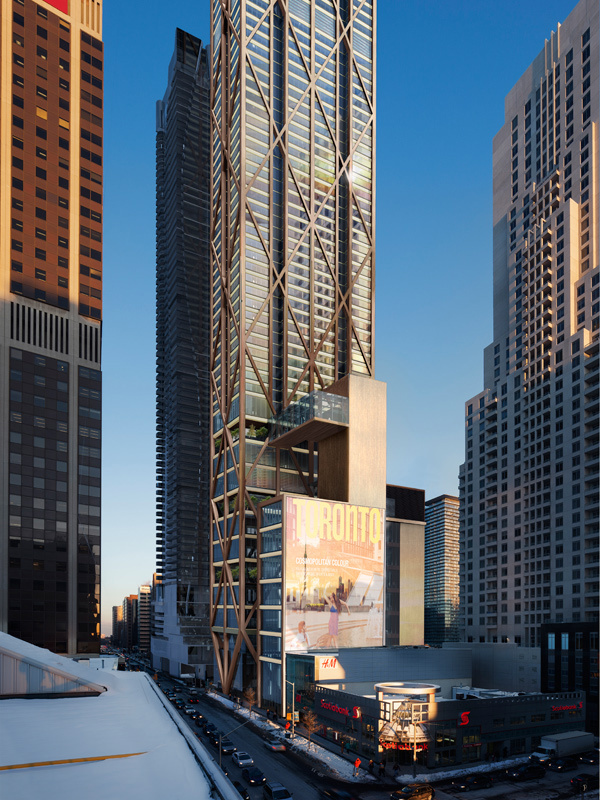 At a crowded meeting room at the Park Hyatt hotel in downtown Toronto yesterday, Mizrahi revealed a model and renderings of the planned building, designed by internationally acclaimed British architect Norman Foster. With a height of 318 metres, the colossal glass building is encased by thick, criss-crossing beams, which give The One an air of similarity to the Hearst Tower in New York City, one of Foster’s past works. The steel exoskeleton structure eliminates the need for columns or pillars to support the building. 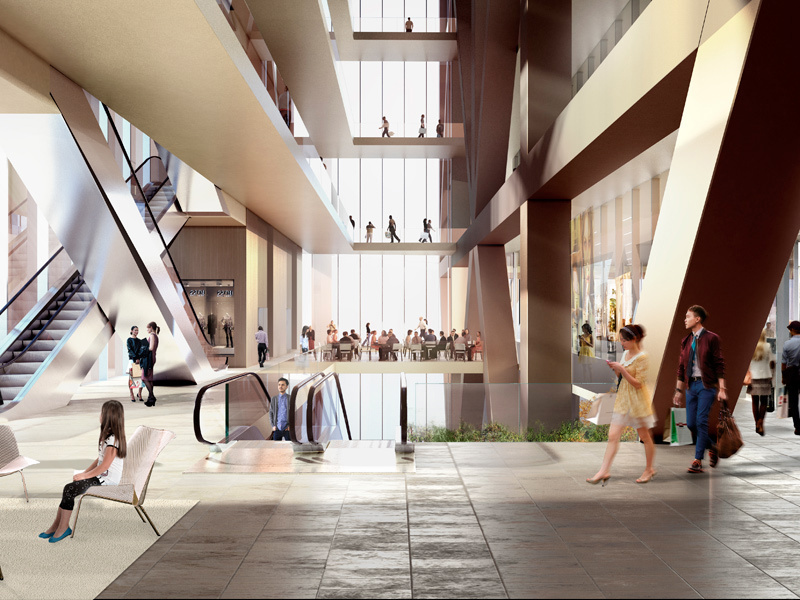 Mizrahi explained in the winter 2014/15 issue of Dolce Magazine that a major component of the tower would be an open-concept retail space free of structural columns that would obstruct the line of sight. This style of building allows him to deliver on that vision, with more than 240,000 sq. ft. of retail space under 22-foot ceilings. Mizrahi is already in talks with top international brands that will occupy the luxury shopping centre of the first eight levels of The One — although he’s still hush-hush on which brands those are. On top of that retail base will stand 72 floors of condo apartments. 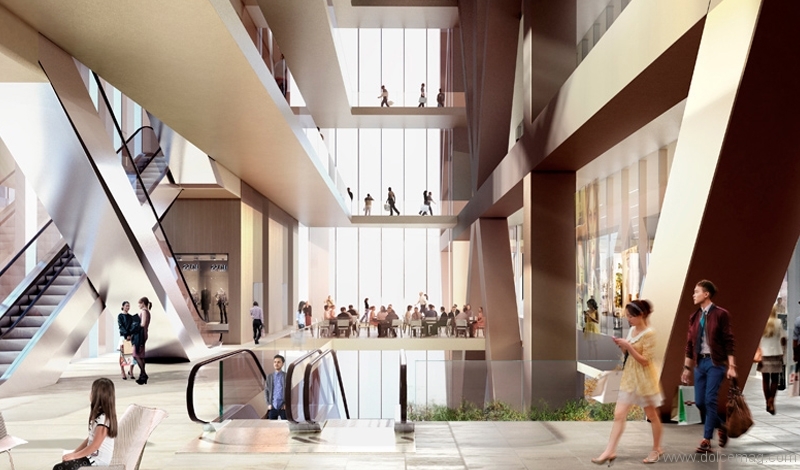 The building will also be connected to the underground PATH system, reaching diagonally across Yonge and Bloor to provide access to the subway. 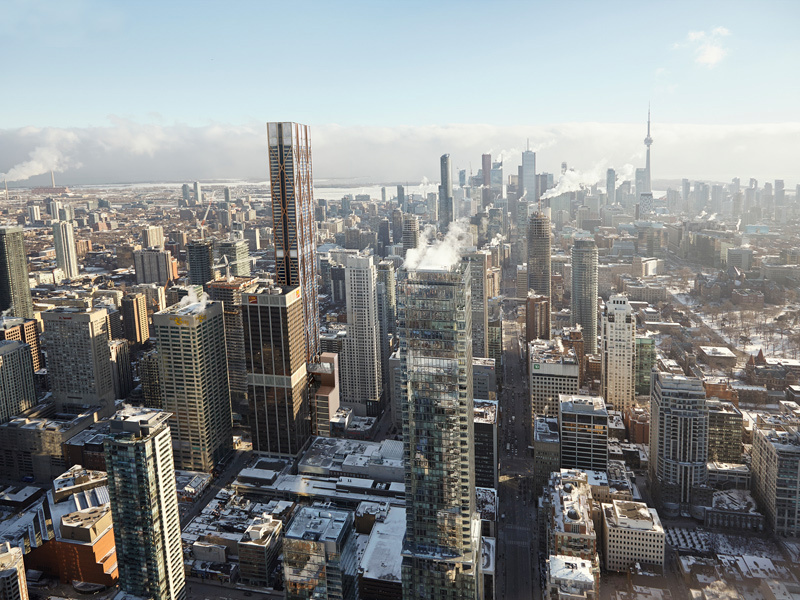 Because of the density of the building, Mizrahi noted that he plans on widening the sidewalks around The One, increasing their width to five or more metres along Yonge and eight-plus metres on Bloor. Mizrahi made headlights last fall when it was announced that he purchased long-standing menswear retailer Stollery’s for over $200 million. He’ll be clearing the site to start construction, an act that has drawn controversy from those who wish to preserve Stollery’s as a heritage building. But despite the modern look of the building, Mizrahi isn’t forgetting about the past. He’s instructed the demolition crew to preserve part of Stollery’s facade, and he plans on building a monument to the old building in The One’s atrium space. Mizrahi is submitting the proposal for The One to the city this week. 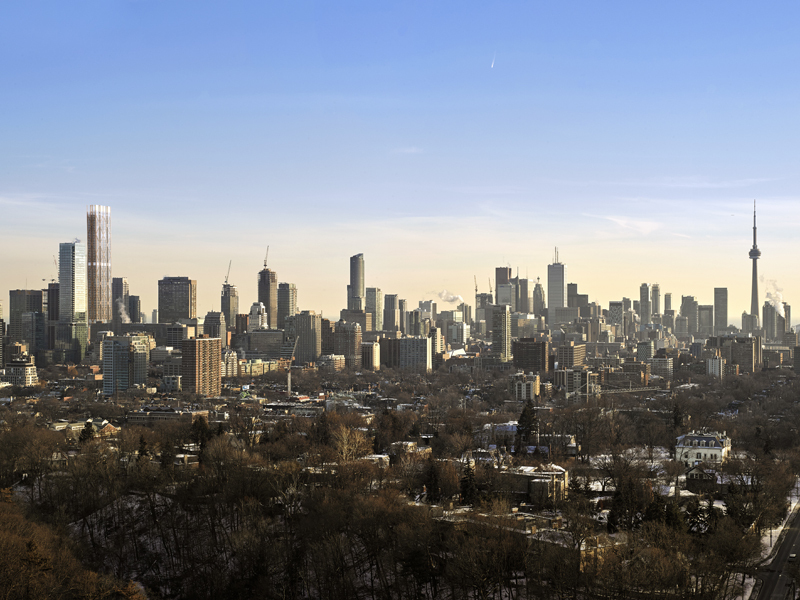 If it gets the green light, it will be the tallest building in both the city and the country — aside from the CN Tower, of course. With the $1-billion price tag, The One is also easily the most expensive residential/commercial building in the country. We’ll have to wait and see whether city council approves of Mizrahi’s plan. But until then, this building will be “the one” on everybody’s minds.